About : CIS Technology, Inc.
CIS has been developing quality custom and commercially available solutions across a wide variety of platforms and industries for over 25 years. Since 1988, we have developed applications, communications software and technologies for the integration of more than 100 different firmware and software-based systems. Our flagship product, the Slot Floor Monitor System (SFMS) is bringing new levels of Customer Service to casino slot floors across the country. 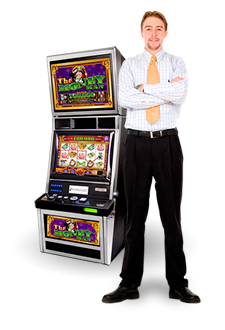 Driven mainly from customer referrals and word of mouth, our company now services more than 80 casinos nationwide. Our customers have added revenue through increased productivity, cut costs through better staffing and projections, and have stayed connected with all events and key players on the slot floor by using the SFMS. We take pride in our ability to deliver solutions that are intuitive, reliable and enduring. There are four driving factors behind our corporate philosophy, our day-to-day operations, and ultimately, our success. These values guide everything we do and shape who we are and how we are perceived by our customers, employees and partners. Integrity is the foundation of every relationship whether it’s with our customers, colleagues, or partners. For CIS, integrity means acting responsibly, honestly and fairly, on both the individual and team level. We must always be guided by what is ethical and right. Initiative implies action instead of reaction. In order to succeed in today’s market, we have become agile, and constantly evaluate our direction and action. Initiative is second nature to everyone in the organization. It is nourished in an environment of decisiveness and continuous development. And it is designed into all of our various programs for customers, partners, and employees. Commitment to our Customers drives our success. We listen to our customers, respond rapidly, deliver solutions that exceed their expectations, and provide unparalleled service. That commitment fosters relations that are built on trust, respect, and mutual understanding. Excellence is critical in building an enduring organization. At CIS, we deliver on our commitments, constantly innovate, and strive for the financial performance necessary to do both. That is why our customers trust us with their critical business applications.